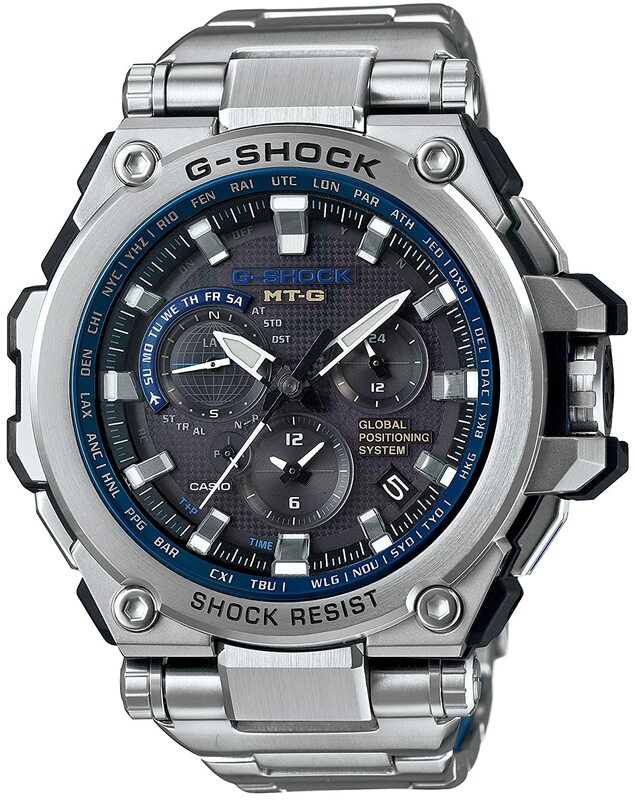 This is hands down the best G-Shock on the market you can find at the moment. 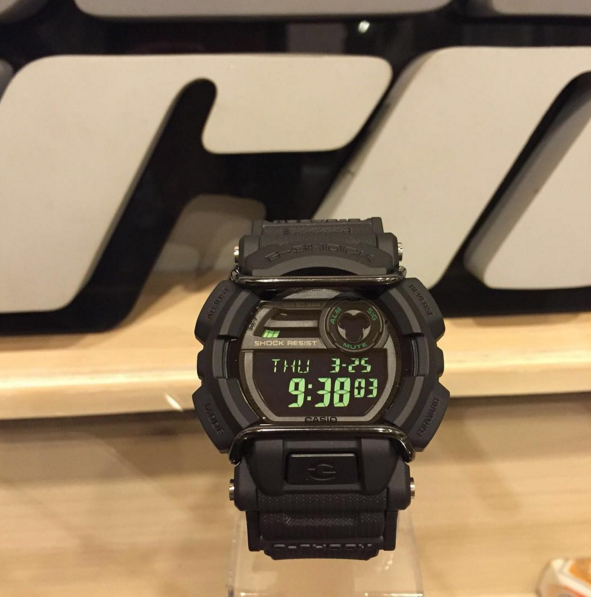 If you have the money look no further because this is the ultimate frontier in G-Shock terms. 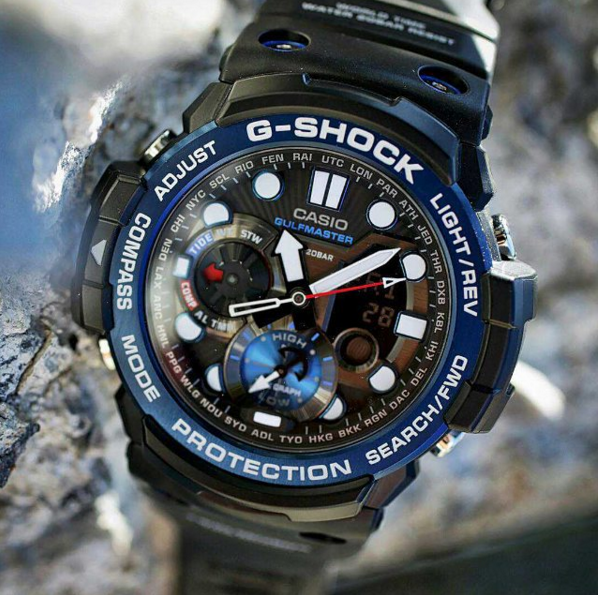 The Ultimate/Best G-Shock Ever Created! 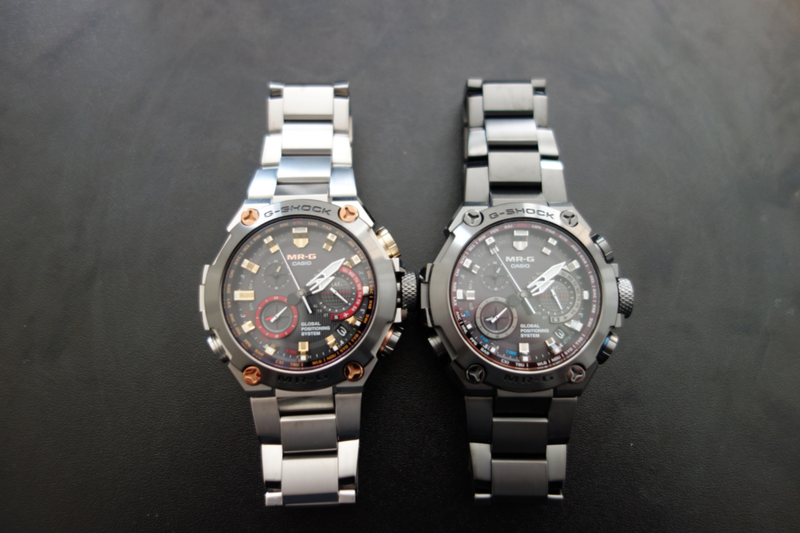 The images in the post alternate between the Silver MRG-G1000D-1A and Black MRG-G1000B-1A version. The only difference between the two models is the color anyways. 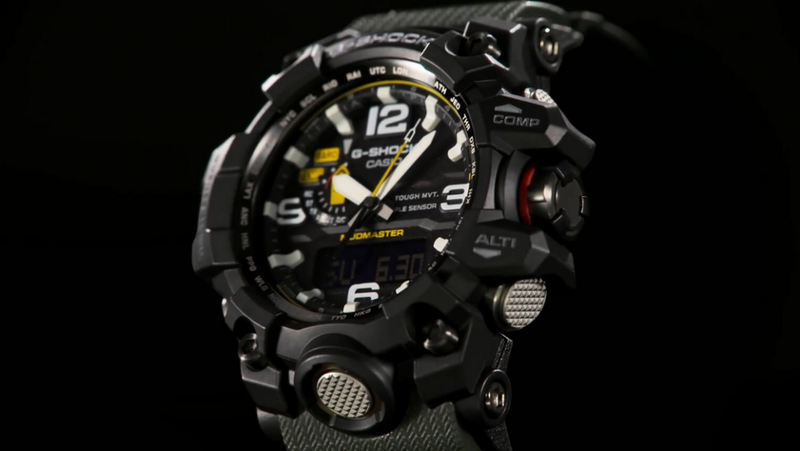 The G-Shock MRG line from Casio aims to deliver the absolute best experience for a tough watch, or at least, the best G-Shock experience on the market. And from what we can see at the moment, this is actually true. 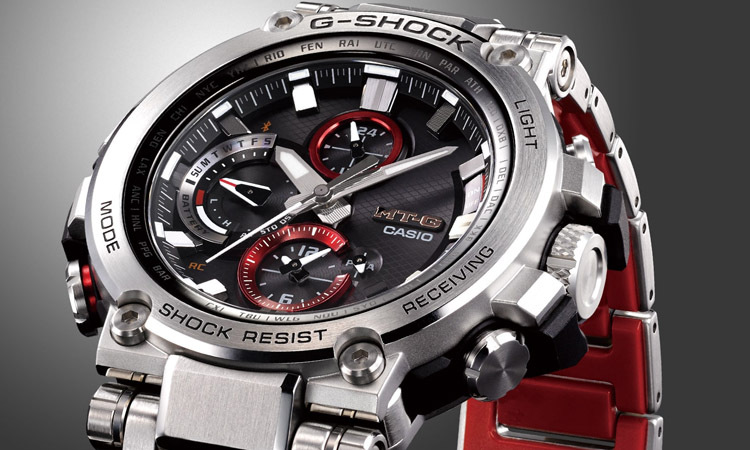 Casio did manufacture the ultimate G-Shock watch but at a price not accessible for many customers. 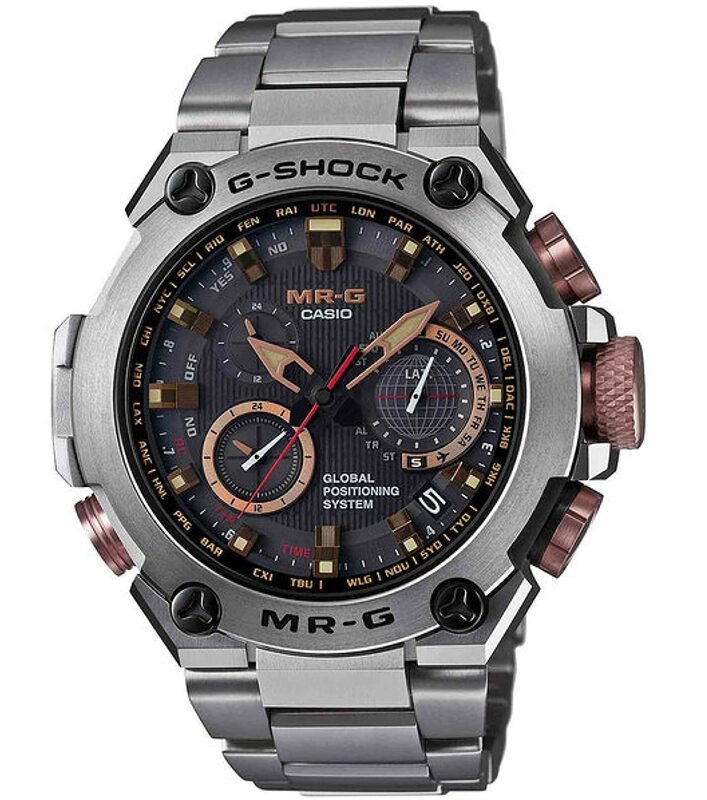 If you can afford the MRG-G1000B not just that you will get an incredible watch experience but actually you will be one of the few people on the globe who own one. 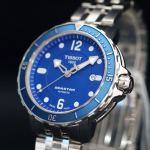 Exclusivity comes in and adds to the overall value of the watch. 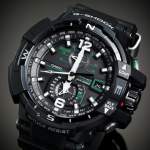 Finally, Casio seems to go on the real luxury path that they didn’t experience at least with the G-Shock line. 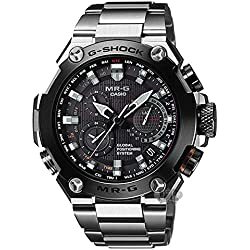 While the features are indeed the best on a G-Shock when it comes to their number and also of their implementation and reliability the true differences are more visible in its design and construction. 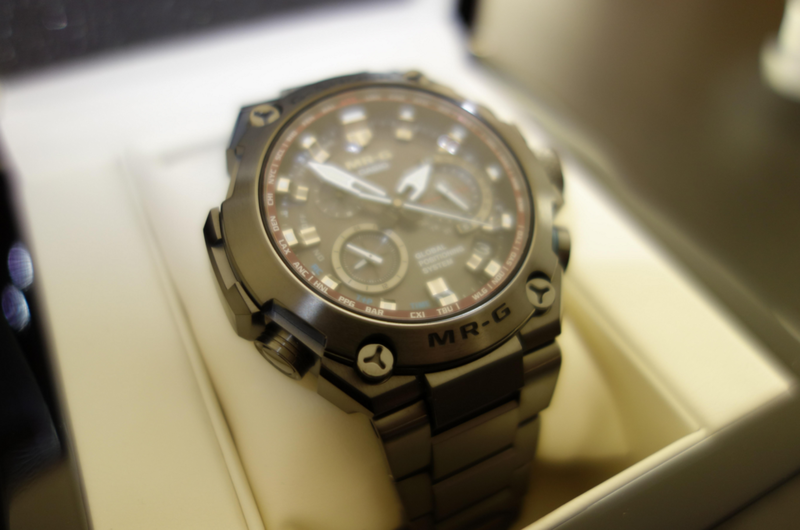 The bracelet and case are made from one piece of premium titanium which feels on the hand quite like no other material. As we have seen on the previous MTG series the band was made from a resin and stainless steel composite for added toughness and comfort. However on the MRG series the titanium eliminated the need of a composite. 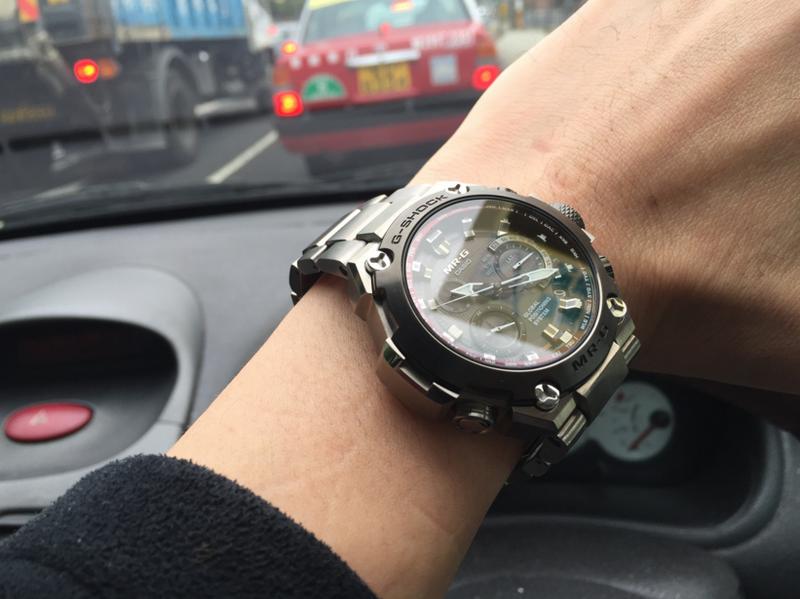 This watch is as comfortable as it may be and obviously, it is stunningly beautiful. 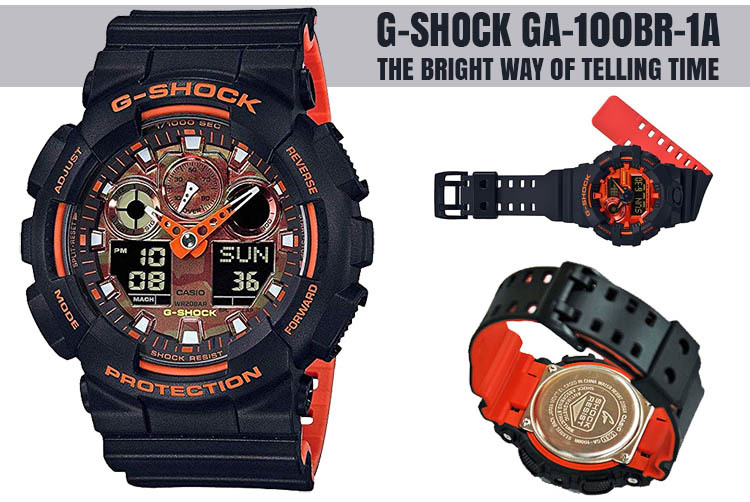 Definitely, the best design Casio could come up with on the ultimate G-Shock. 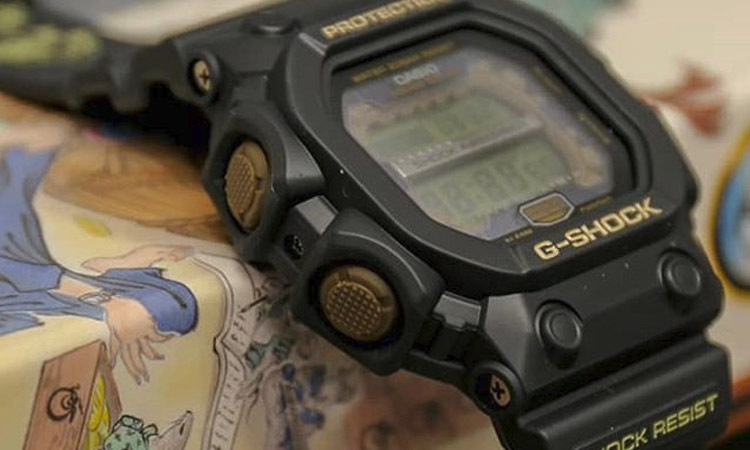 I wouldn’t hurry to say that the $2000 difference from the G-Shock MTG G1000-D is entirely and objectively justified, but anyways the reasons for buying this G-Shock go beyond objective reasons. 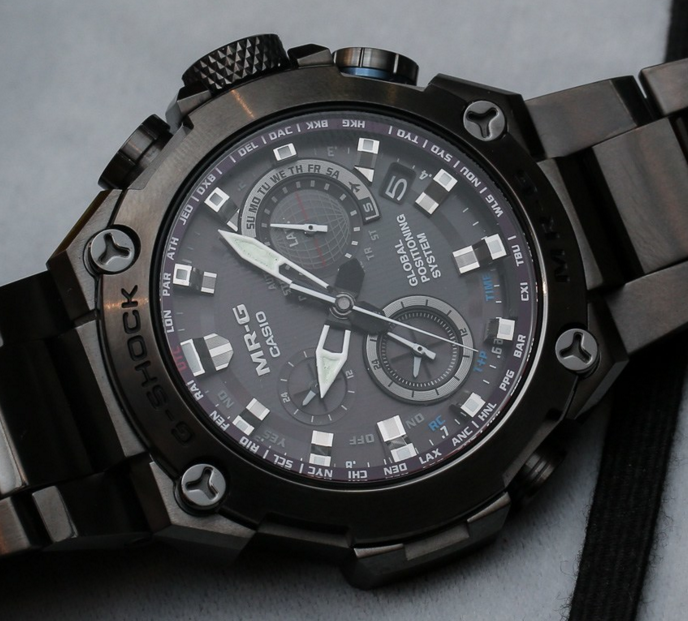 The watch sells status and value and seems to go further into bringing a luxury outdoor watch to the market which can compete with the Rolexes and Breitlings without. 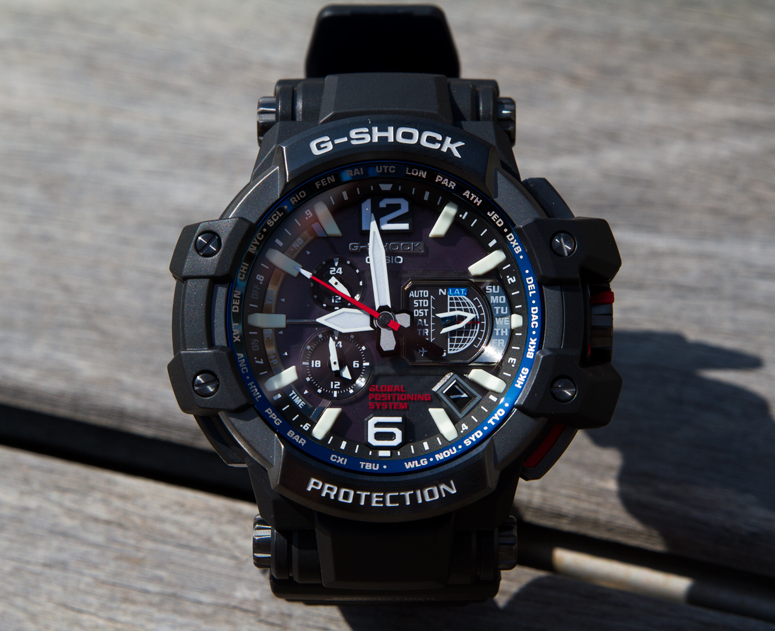 While the watch is still noticeably big, it is smaller and sleeker than the G-Shocks from the MTG series making for a better everyday fit on the wrist. 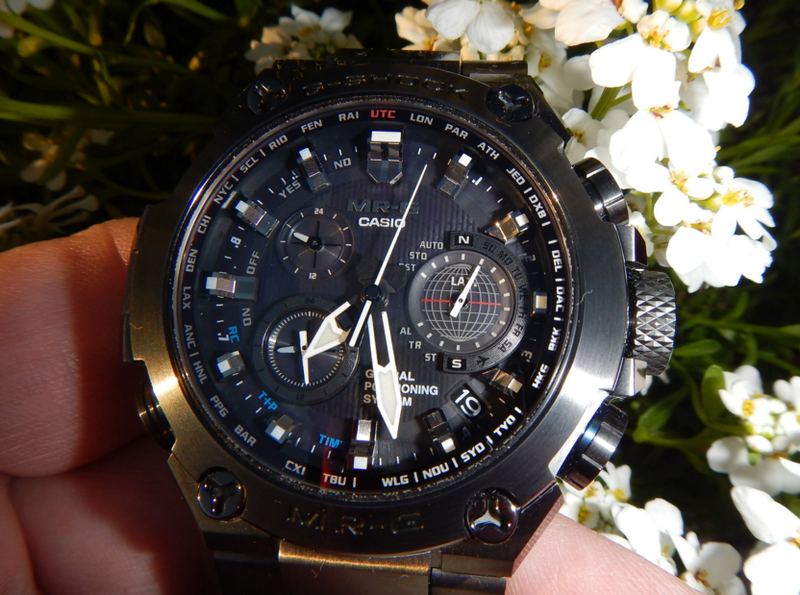 As I have said before, for an analog watch with index hands and subdials only one illumination source is not enough. 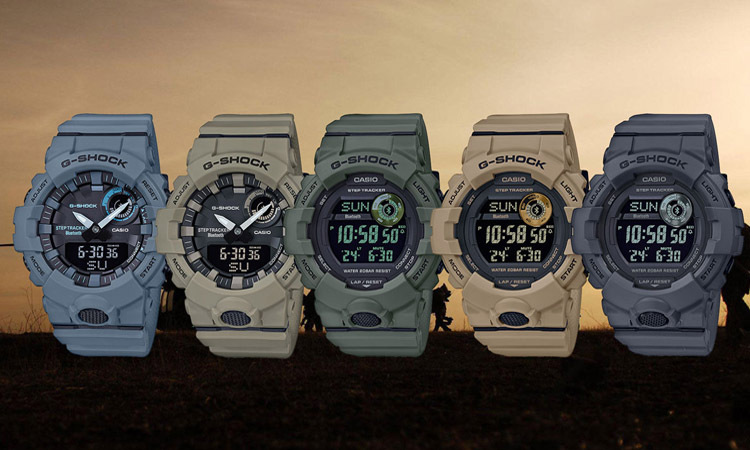 Casio thought the same so they implemented a bright light tone backlight for the background and Neobrite paint on the hour markers and index hands. This way everything on the dial will be visible no matter of the lighting conditions. 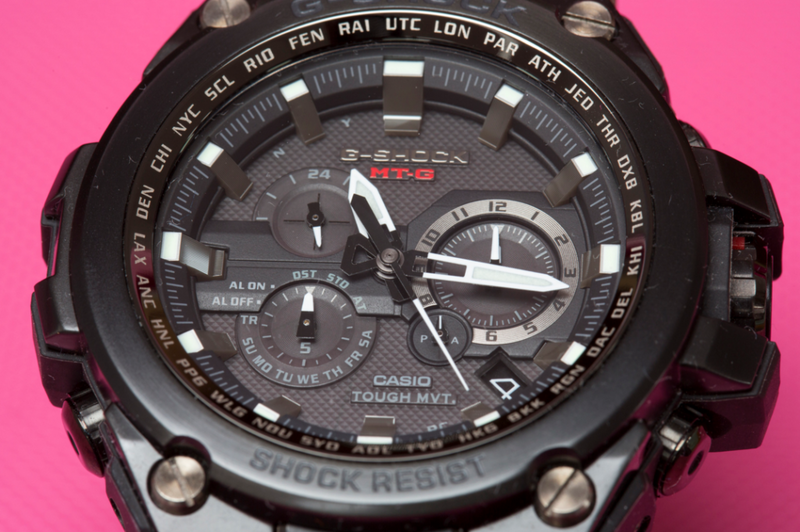 With the multi-band 6 atomic timekeeping and the GPS receiver you can forget about not having the watch calibrated. And thanks to the self-solar charging system swapping batteries is also a thing of the past. 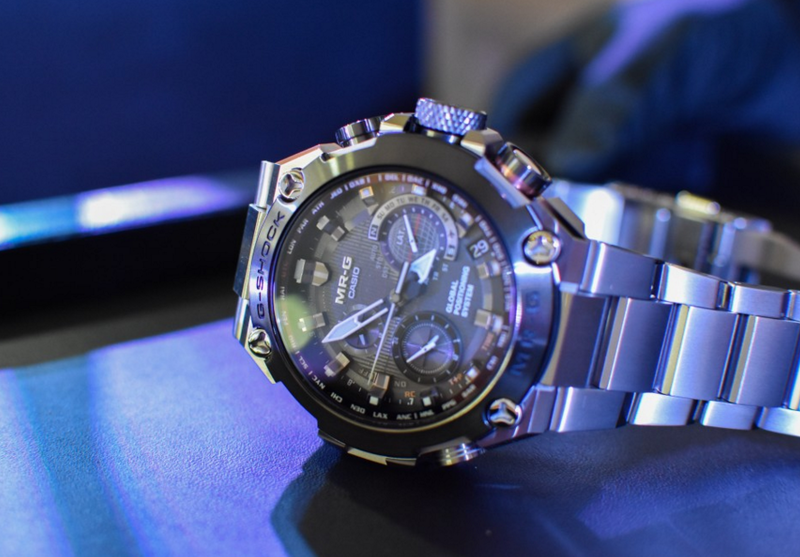 Because these advanced features might disturb sophisticated airplane equipment you might be surprised to find out that the watch features an airplane mode just as the modern smartphones. 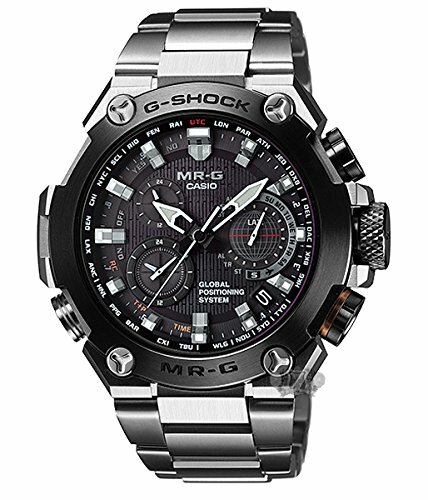 As a final word, I would recommend the G-Shock MRG G1000 to those looking for the best watch of both worlds i.e. outdoor and formal. 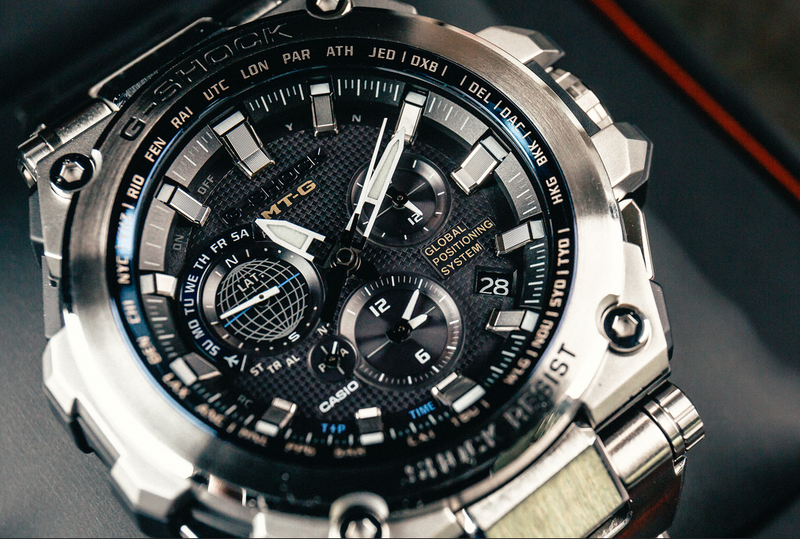 The watch offers an exclusive feel to your wrist and increases your status by making a difference when noticed. It is definitely not for everyone, but if you can afford it then you can make one of the best purchases when it comes to a watch of this class and magnitude. 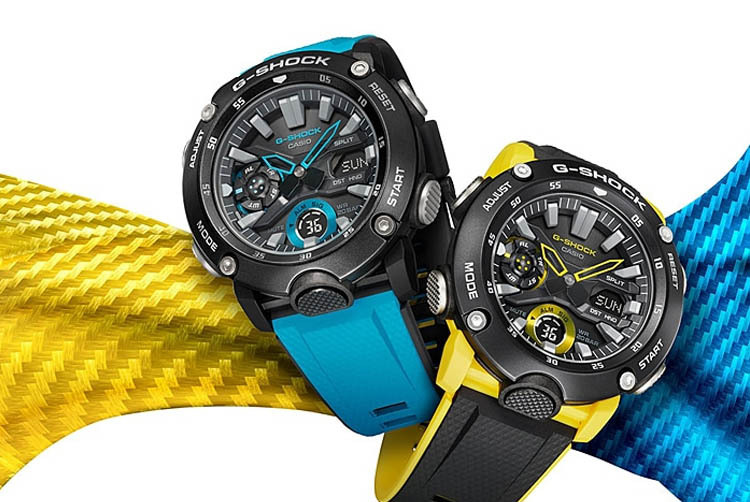 Finally, you might want to check out our selection of Best G-Shock watches by clicking here. 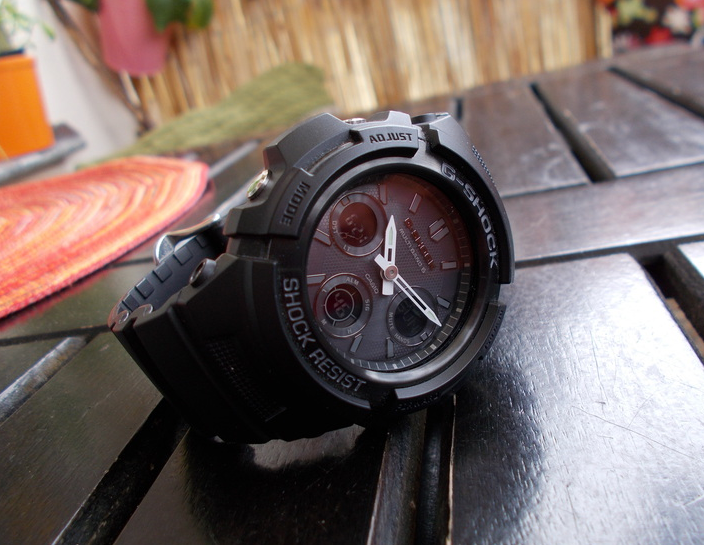 Casio G-SHOCK MRG-G1000D-1A *PREMIUM CASIO WATCH WITH GPS.